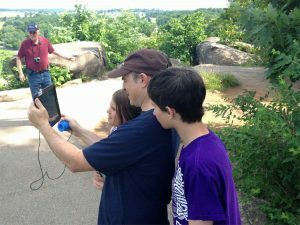 InSite Gettysburg offers amazing virtual reality tours of Gettysburg historical areas. 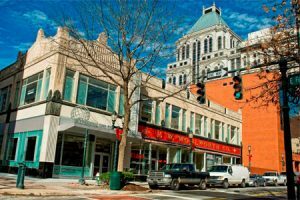 Read on to learn more, as well as where to stay and eat. Every December, Washington’s historic crossing of the Delaware is reenacted at Washington Crossing State Park in Washington Crossing, Pennsylvania. 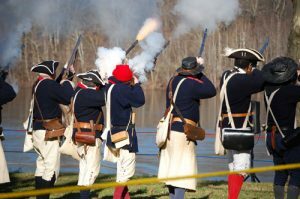 During the reenactment, the park hosts many fascinating displays and demonstrations. 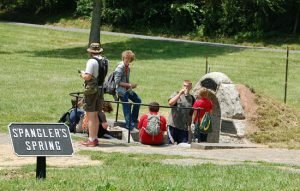 Families can tour several historic buildings on the grounds and learn about blacksmithing, colonial games, candle-making, quilt-making, cooking, crafts, musket-firing drills and more. 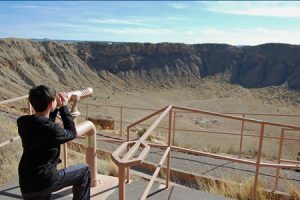 Meteor Crater near Winslow, Arizona, is the world’s best-preserved meteor impact site. It’s quite an impressive sight when you walk out to the rim of the crater. 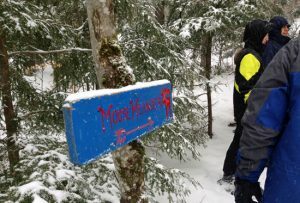 Whether it’s snowshoeing, touring sugarhouses, or maple-themed dining, you can get a front row seat to the maple sugaring process at Smugglers’ Notch Resort in Vermont. Visiting the International Civil Rights Center and Museum in Greensboro, NC, and seeing the historic “sit-in” lunch counter was inspiring. 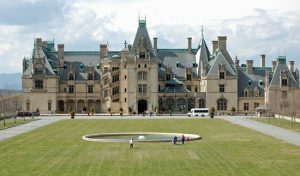 The Biltmore Estate in Asheville, NC, is America’s Largest Home and a fascinating glimpse into high-society life. With a farm, winery, shopping, and outdoor adventures, it’s a perfect family destination. 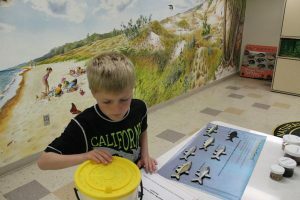 Roadschooling: The Ultimate Guide to Education Through Travel offers prime examples of how traveling with your kids can be the perfect implementation of a learning lifestyle. 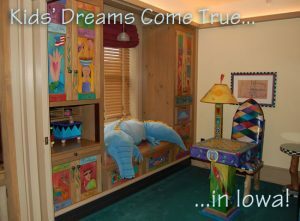 Our road trip through Iowa proved one thing: America is full of magical places and one field of dreams after another. 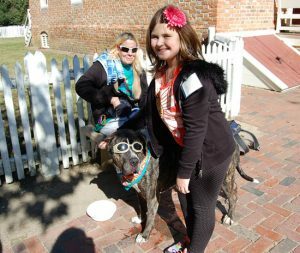 Colonial Williamsburg is more than a place to learn about American history. We made friends – human and canine. 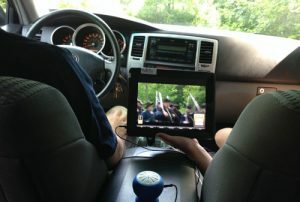 A kid’s review of the InSite Gettysburg tour – a virtual reality tour that allows you to tour Gettysburg National Park at your own pace. 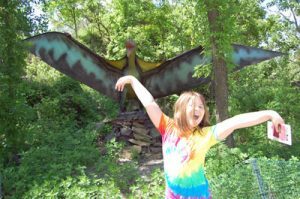 Field Station: Dinosaurs brings you back in time with animatronic dinosaurs and a roaring good time!